Contractors, are you ready for Key Information Documents from April 2020? As if there wasn’t already enough on the contractor compliance menu from April 2020, a quietly tabled amendment to the Agency Conduct Regs will put much more on the plate of recruiters; require umbrella and PSC contractors using them to digest new paperwork and potentially make umbrella companies less palatable, writes former tax inspector Carolyn Walsh, managing director of CWC Solutions. This possible sourness at using a conventional PAYE umbrella will be sharpest for agencies looking to convert PSCs – as happened after the 2017 reform of IR35 in the public sector and as, therefore, can be expected will happen due to 2020 reform of IR35 in the private sector. This buffet of consequences is all because the amendment to the Agency Conduct Regs (the Conduct of Employment Agencies and Employment Businesses Regulations 2003), makes provision to ensure that persons using the services of agencies to find work will receive a document setting out clearly, and succinctly, certain key information concerning their relationship. Crucially, this ‘Key Information Document’(specified at new regulation 13A of the 2003 regs) must be given to the worker before the business reaches an agreement on terms with that person and before a contract is issued. So what ingredients go into the ‘KID’? Well, we know that the statement is going to have to be headed ‘Key Information Document’ and contain information about pay, costs, benefits, deductions and fees. And there is a further need for a ‘representative example statement’ to illustrate the remuneration which the person seeking work can expect to receive. A financial taste of what’s to come, if you will. Now, in some cases the ‘person’ seeking work through the employment business may be a different person from the individual who will ultimately provide the work to a hirer. For example, the ‘person’ seeking work may be a company or other legal entity which then directly or indirectly provides the individual to the hirer. An umbrella company, for example. Then, paragraph (6) of the new regulation 13A requires the KID to have different ingredients -- to have different information in place. In this instance, the statement is going to have to contain details about the employer of the individual worker, and the person who will normally pay that worker -- plus the staple information about pay, costs; employee benefits, deductions and fees. And there is a further need for the financial taster -- the ‘representative example statement’ mentioned earlier, again to illustrate the remuneration – but in this scenario, the money paid for providing a service, which the individual who will provide the work can expect to receive, must be outlined. So, from April 2020, where agencies use compliant umbrella companies, agencies must obtain the key elements, such as the wage or salary that will be paid by the umbrella company to the individual, plus the fee charged by the umbrella and any employee benefits that will be made available, so the agencies can include all these details in the KID they dish out to the worker. In this way, and not dissimilar to a discerning diner, agency workers are going to be able to make an informed decision on which umbrella company to use (based on whether the remuneration and employee benefit package they will receive looks worth the cost of paying an umbrella company), as all the specifics will be transparently spelt out in front of them, in a sort of bill of ‘fair’ -- before they engage. But for agencies, not only do they have to get the many condiments together and then list them all, they will also no longer be able to offer an ‘umbrella rate’ -- without a KID, because, on its own, the ‘umbrella rate’ is not the remuneration that the agency worker will actually be paid. The issue is that where the so-called ‘agency uplift’ is minor, the actual remuneration could be around the same as the ‘direct agency rate,’ and so it will be hard for agencies to sell the concept of using an umbrella company for which a fee is charged. It will be especially hard when trying to make that sale to PSCs, who perhaps will be unfamiliar with the umbrella charging model and who may already be feeling strung from only having to consider umbrellas because of the imposition of IR35 reform. But the potential sweetener for agencies, and umbrellas, is the ‘employee benefits provided’ – one of the ingredients KID requires, which could tempt a doubting PSC wondering if it’s all worth it into biting. Furthermore for PSCs, this amendment to the Conduct Regs from April 2020 means that where an agency is required to operate IR35, the agency must inform the PSC before contracts are entered into. For such limited company workers, if the uplift for using their own intermediary isn’t juicy enough, and given a PSC will still have to fork out for an accountant to deal with the company accounting under the April 2020 off-payroll rules, we could see such contractors plain refusing to work on this basis. This is why the Key Information Document has to be provided before they agree to take on a contract. While this might all sound a bit of an ache for all parties at the table, this change to the Conduct Regs will probably go down the best with PSCs. 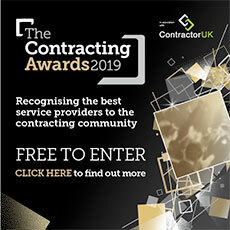 Indeed, what grates contractors the most is being served up a pay rate by agencies and then finding it is actually dependent on using an umbrella company, which dilutes the ‘true’ pay rate by its employer costs. Or the other one – which threatens to spoil the contracting broth at the same time that this change hits -- that IR35 is deemed to apply, and the ensuing PAYE deductions the agency makes will make the contact indigestible for a contractor. So despite the paperwork mountain clearly set to increase for all, maybe changing the Agency regs recipe from next April is overdue. ‘Employment businesses’ as defined in regulation 2 of the 2003 Regulations.